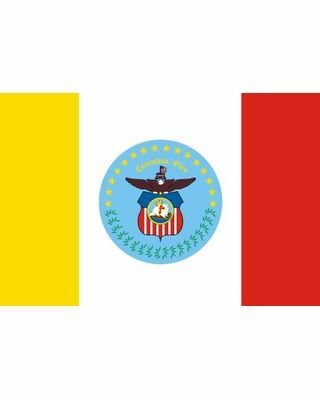 This 3 x 5 ft. City of Columbus Ohio flag is printed on 100% nylon and finished with a canvas header and brass grommets. This flag is made to order, may take 2 to 3 weeks before delivery. Made is the U.S.A.